Although the name Woodhouse – originally called Tig an Ceoil (House in the Woods) was first mentioned in Thomas AnAppa FitzGerald’s last will and testament in 1298, there is no visible trace (on earth or in the documents) of a structure on the land and so far it is uncertain where a house – if one existed then – was located. It is possible that the substantial earthen mound in front of the existing house may have been the Medieval Norman motte. Archaeological investigations may determine any architectural remains in the future. Pottery sherds thought to be from the 12th or 13th Century have been found on the grounds of Woodhouse so there seems to have been a small village on the land centuries ago. The house of Woodhouse as we see it at present was built in at least three stages. 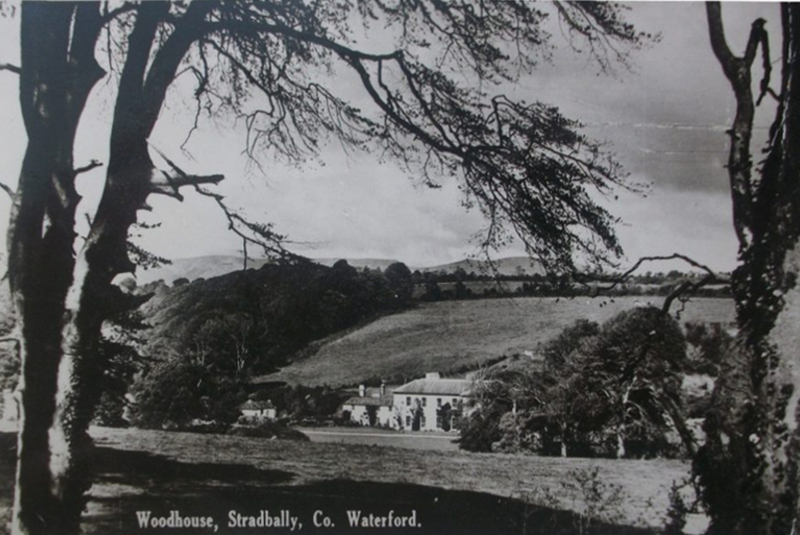 The first one dates back to early 1600’s and the Munster Plantation, when the Messenger for Court of Wards and Liveries, an English Protestant and Undertaker (in other words Planter), James Wallis Esq., rented the lands of Woodhouse, Carrigcrokie, Stradballymore, Ballykerogue and others from the fellow Elizabethan settler and land distributor Richard Beacon. The latter gentleman was awarded the lands of the Catholic FitzGerald family in Co. Limerick and Co. Waterford (Woodhouse), by the Queen in appreciation for having performed his duties as her majesty’s attorney for the province of Munster. After leasing the land James Wallis had built a fine stone house, a mill, a walled garden accompanied by a numerous outbuildings and weirs (river dams) in the river Tay. The original house was built in an Elizabethan style on a rectangular plan. During the 1641 Rebellion in Ireland, James Wallis Esq. was forced out of Woodhouse by rebels and despite his detailed Deposition made in 1642 describing the damage to his house and the loss of his goods, as well as the favourable court ruling in his favour in1653, he never returned to the property. The 1654 Civil Survey states that the owner of Woodhouse was then Thomas FitzGerald. Two generations later his grandson Major Richard MacThomas FitzGerald (then of Prospect House in Kinsalebeg, Co. Waterford) was facing large debts and had no way of paying them back so he had to sell the house and lands in 1724. Richard MacThomas Fitzgerald received over £8000 for this property but could only retain £840 while the rest was required to cover his debts. The new owner of Woodhouse was Richard MacThomas Fitzgerald’s distant relative and close neighbour Thomas Uniacke Esq. of Ballyvergin, Barnageehy and Youghal. It was then that the second phase of development for Woodhouse started. Thomas’ sons, Borr and Maurice Uniacke, invested heavily into renovating the dilapidated house and completely changed its character by developing it into a Georgian structure. There is no evidence to confirm who the architect of the changes was so it’s quite possible that the wealthy Uniacke family used the “Pattern Books” and hired traveling stonemasons to introduce the changes. The house was substantially enlarged and its functionality vastly changed. At this time the Woodhouse estate was is thought to have consisted of about 2500 acres in total. 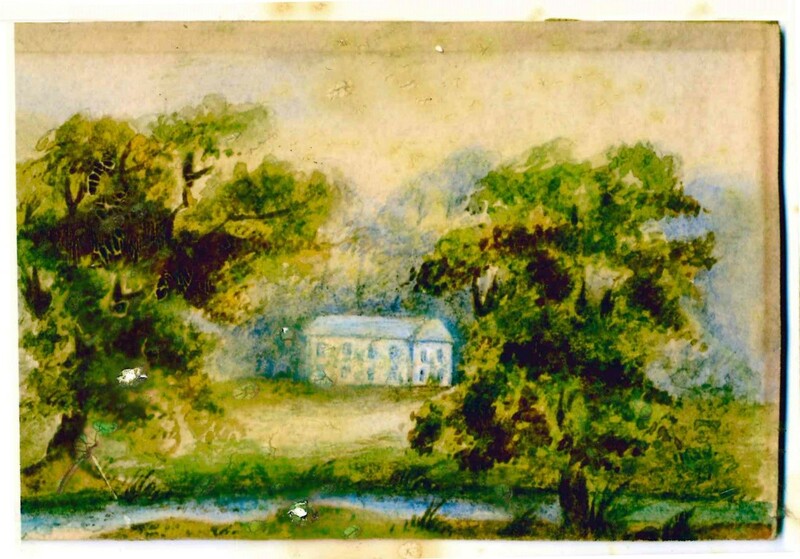 What the house looked like, may be seen at one of Borr Uniacke’s granddaughter’s amateur painting which was likely done in the first half of 1800’s. 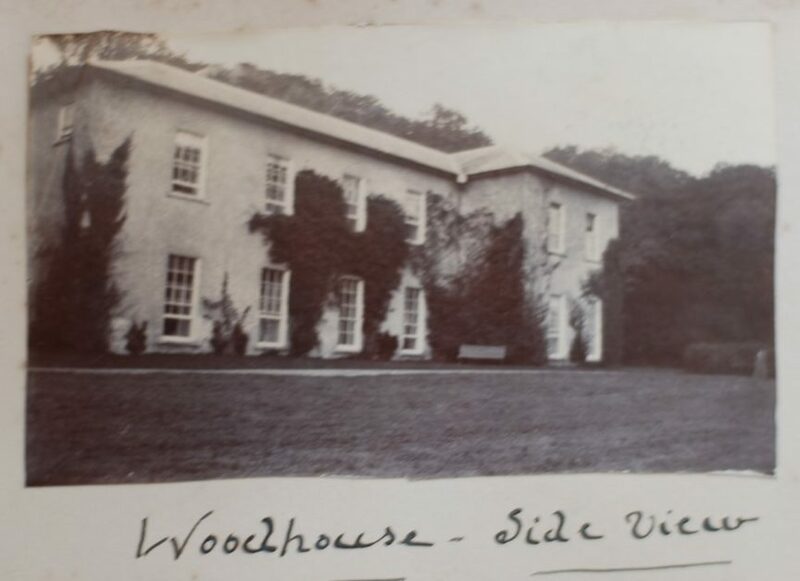 Woodhouse remained with the Uniacke family for about 130 years but in 1853 the Estate changed hands again. It did not entirely leave the Uniacke family inasmuch as the last heiress of this branch of the family, Frances Constantia Uniacke, having inherited Woodhouse from her older brother, Robert Borr Uniacke in 1844, married George John Beresford the grandnephew of the 1st Marquess of Waterford. Frances and George John took on the responsibility for the house and had the house and the outbuildings further extended. Owing to his sufferings caused by severe gout, at the back of the main house he had built a Turkish bath. We also know that construction of the boat house in nearby Stradbally Cove (which in contemporary nautical charts was called the Blind Cove) was done at this time. For almost a century after that Woodhouse did not see any major changes and once again it became in need of extensive work to save it. Most of the eight Beresford children of George John and Frances Beresford married but none of them had children of their own. 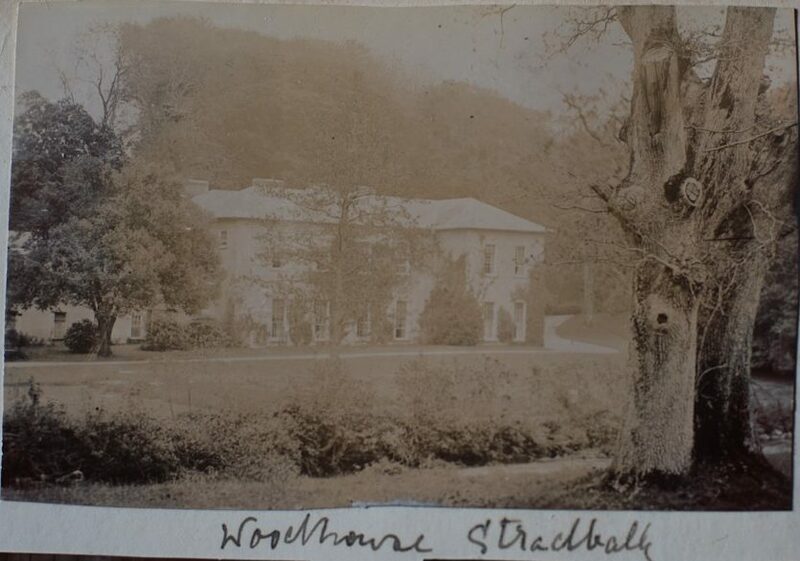 In 1933, the last surviving daughter of the couple, Lady Emily Frances Louisa (Beresford) Hodson bequeathed Woodhouse (the main house, 550 acres of land and the village of Stradbally) to her distant cousin Lt. Lord Hugh Tristram de la Poer Beresford Royal Navy, the sixth child of the 6th Marquess of Waterford. At the time of Lady Hodson’s death Lord Hugh was Aide De Camp to the Governor General of South Africa, yet he still managed to order renovation works including the installation of electricity and running water to the house. There is an extensive written evidence of his endeavours, which describes the works undertaken. In 1936 Lord Hugh Beresford made his last will and testament and bequeathed Woodhouse to his older brother Major Lord William Mostyn de la Poer Beresford. When in 1941 Lt. Cmdr. Lord Hugh Beresford was killed in action during the Battle of Crete, the will and testament were probated and when in 1944 Major Lord William Beresford returned from the war he took on Woodhouse, its lands and the village of Stradbally. Hence the third stage of structural development for Woodhouse began. Until his return however, the Estate was looked after by Arthur Hunt Esq. who had been the agent for the Beresford family since the late 1800’s. Upon his return from the war, Lord William Beresford moved into Woodhouse. He found the Estate to be quite run down and badly in need of repairs. Lord William introduced considerable changes not only to the structure of the main house, but he also developed the land and garden in such a way that they yielded large crops. Every week he transported the rich surplus of vegetables, fruits and dairy products to Waterford where they were sold in the first Co-Op in town. 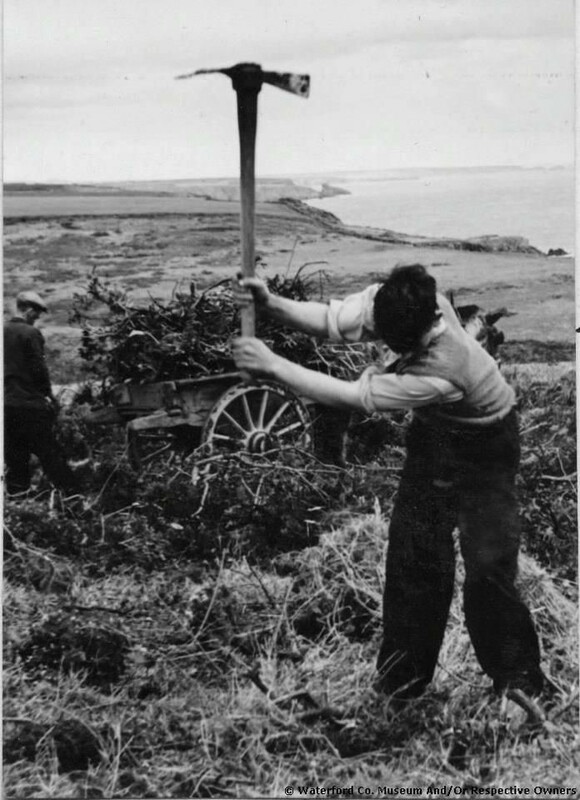 Jim Corbett reclaiming land by hand at Woodhouse, Stradbally, Co. Waterford From: Waterford County Museum. Lord William and his wife Rachel are remembered as a good and kind people who successfully ran Woodhouse as a working farm and they put all their energy into making it a self-sufficient establishment. The year 1971 was the year when everything had changed for Woodhouse. It was the first time in 250 years that it was sold outside of the Fitzgerald/Uniacke/Beresford Anglo-Irish family. In that year Lord William sold the Estate to Mr. John McCoubrey who farmed and bred his cattle here and, thanks to the auspicious nature, he succeeded in that enterprise. However only one year later Mr. McCoubrey decided to move on and he, too, sold Woodhouse. In 1972 Mr. John Rohan bought the house and all the lands. 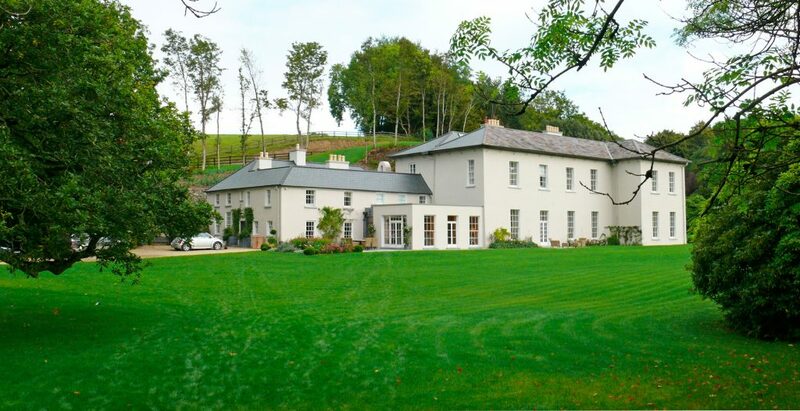 The new owner began extensive renovations to the main house and, being the Master of the Waterford Hunt, built stables for his horses and kennels for his dogs in the walled garden. He also purchased and installed the beautiful black gate at the main entrance to the Estate. Ten years later, in 1983 Woodhouse changed hands again and was purchased as an investment by a company owned by Mr. Mahmoud Fustok and his associates from the Middle East. Mr. Fustok never occupied Woodhouse but chose to make it available to Dr John O’Connell, an Irish parliamentarian, and his friends. The house was adjusted to their style, but no major renovations took place between 1983 and 2006. After 23 years under Mr. Fustok’s ownership Woodhouse was purchased by two Irish business partners – Mr. Aidan Farrell and Mr. Charles O’Reilly-Hyland. After their purchase these two owners sold some land parcels of Woodhouse to interested parties and made some improvements to the Estate but did not make it their residence. Eventually in 2012 they decided to sell the entire estate. The new purchasers, Jim Thompson and his wife Sally, took on the task of renovating and modernizing the vastly run-down house, cottages, outbuildings and lands. 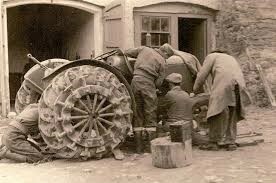 Their initiative involved an enormous amount of effort and patience but ultimately was successful. 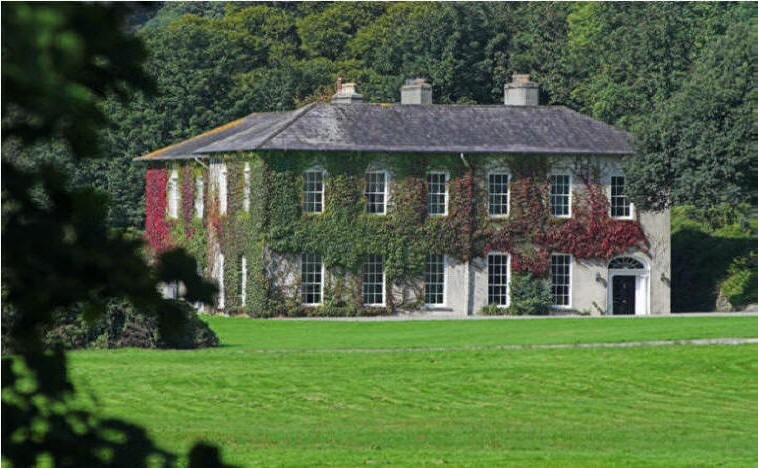 The works extended into every part of the large Estate (500 acres) and was achieved over a period of six years with the support and encouragement of the people of Stradbally. After many years of being forgotten and with no sufficient means to sustain itself, Woodhouse was brought back to life by various experts – architectural, building, landscape, and farm – who guided the Thompsons through the long renovation process. This commitment to bring Woodhouse back to its former glory proved very successful and as of 2019 – 400 years after the house was originally built – Woodhouse is a vibrant estate once more.